Are you going to The Memorial Stadium for the game against Newport County? Why not purchase a copy of the matchday programme, The Pirate. 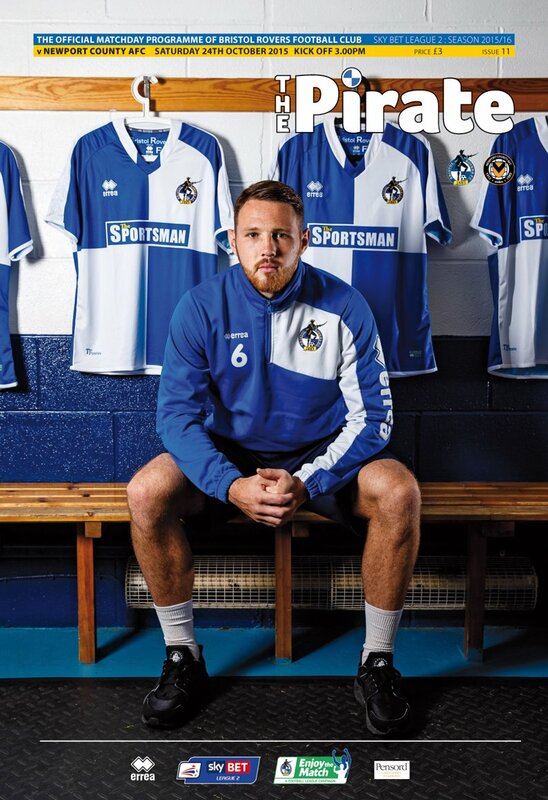 The matchday magazine for the game has 72 pages and will cost you just £3. Manager Darrell Clarke and Chairman Nick Higgs pen their own columns. There are interviews with Stuart Sinclair and Lee Brown. The number 23 shirt is featured and previous wearers Neil Arndale and Ijah Anderson are recalled. A four page Academy section includes the latest match report featuring the BRFC Under 18 side. It includes news from the wider Academy, with emphasis on the Under 9 group and a profile of scholar Tom Fry. There is much more besides. Well worth reading.